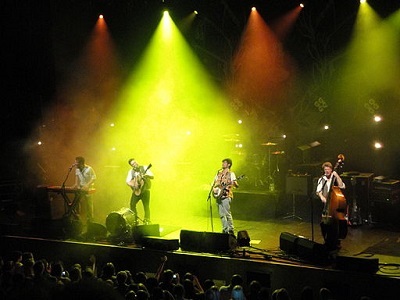 Get notified when Mumford and Sons tickets are available! Mumford & Sons, based out of London, are an English rock band that formed in the year 2007. Made up of lead vocalist Marcus Mumford and supporting members Ben Lovett, Winston Marshall and Ted Dwane, Mumford & Sons have released three studio albums since their formation. “Sigh No More” was released in 2009, “Babel” in 2012 and “Wilder Mind” in 2015. “Babel” and “Wilder Mind” both debuted at number one in the United States and in the United Kingdom. Get your own Mumford & Sons tickets above to be in the crowd for their next love concert event.